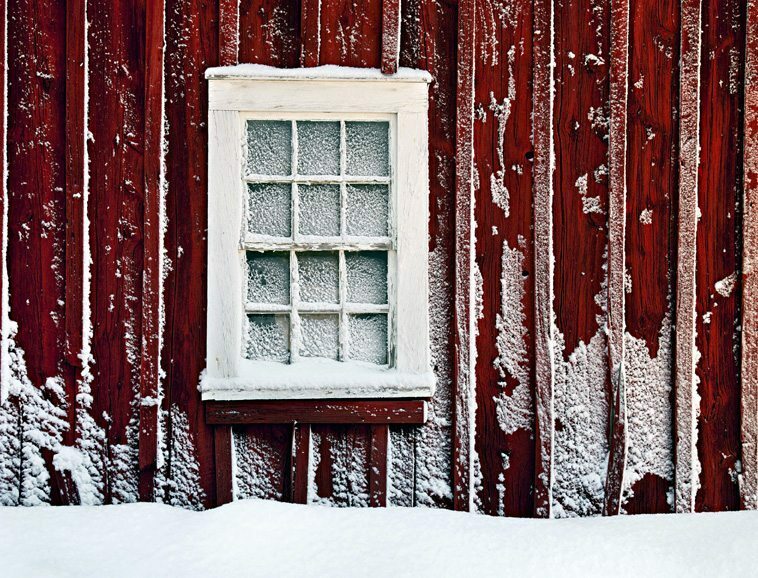 For those who still question whether photography is art, I suggest they visit the Miller Art Museum in Sturgeon Bay, Wisconsin and dwell on the exhibit “Barbara’s Farm: A Color Photography Memoir,” by Daniel Anderson, January 16 to March 2, 2010. I doubt anyone can walk past the first few photographs without catching his breath. The sheer beauty of these large images (23×30 print, 32×40 frame) is staggering. You never stop to consider whether they are oil paintings, watercolors, pastels, etc. Instead, your eyes are immediately engaged, invited to inhabit the rural images Anderson has captured…holding you in their midst, be it “Pear Tree in Fog,” “Smoke House,” “Mountain Ash Berries and Wash House” or any of the other thirty-four works. As Anderson sees it, “The question of whether photography is art or not is not one that I worry about at all. Photography has its own grammar and language that must be mastered as well as having its own history and traditions that must be respected. It shares with other forms of visual arts like painting and sculpture the fact that materials, tools and methods must be learned and practiced before one can adequately express oneself. If any form of visual communication is to be considered as art, it should exhibit some common characteristics such as conveying ideas, intelligence and an intent that is communicated. 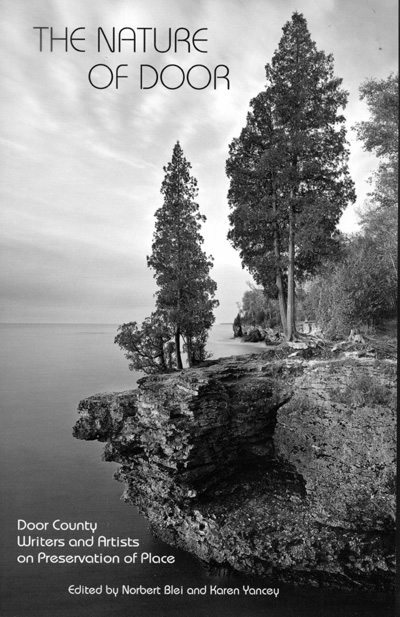 Given his travels, the world-wide scope, interest, acquisition of his work, given his study under Ansel Adams and other masters, we sometimes forget that Dan Anderson, a fulltime resident here since 1991, while not an ‘official local’ has a long history with the Door County setting, going back to boyhood—which this exhibit certainly celebrates. “Sixty years ago, I was growing up across the road from this farm and since it was the home of my boyhood friend Duane, I played in, on, and around these same buildings and trees for years. Duane’s sisters, Barbara, Sheila and Rose, were also part of the large Logerquist family. At that time, this farm was a very active one with dairy cattle, draft horses, chickens and general farming activities with busy workers using lots of equipment. “It also had a cherry orchard, and this fact was the main motivating force behind this photo project as it was the four sheds built in the 1930’s to house the migrant workers for the time they were in Door County every summer harvesting the cherry crop that first attracted me as a photographer. All through the 1940’s and 1950’s Door County had many migrant workers housed in sheds on many orchards and farms. These folks made the county a very exotic place to grow up for me. Since I picked cherries right along with them I became acquainted with many of them over the years. “These iconic migrant sheds have seen an incredibly rich history, housing workers from many places in the world. There have been Native Americans, workers from the Caribbean, African Americans from the south, Hispanic Americans from Texas, Caucasians from the Appalachian mountain regions and other southern states. They all would come to Door County for the cherry harvest season in late July and August during their itinerant life following and harvesting the crops throughout the United States. 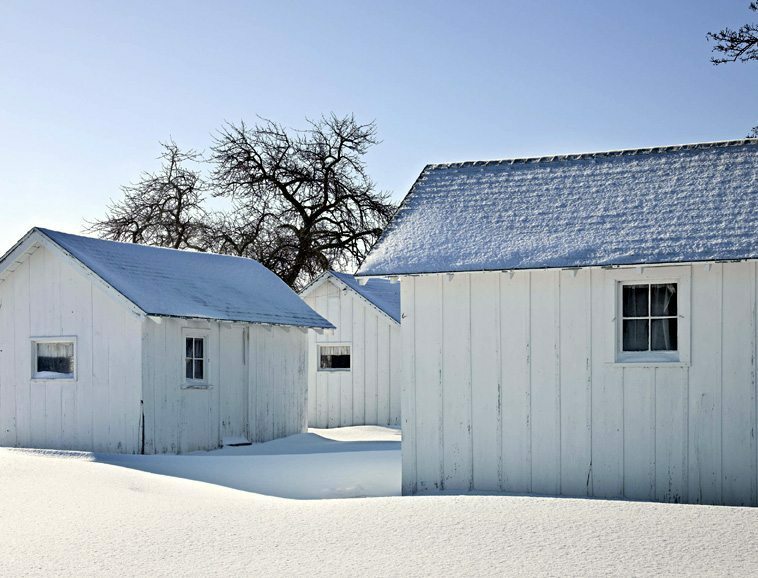 During the latter years of World War II, German POW’s were brought from a Wisconsin POW camp to the Logerquist farm to pick cherries and were housed in these sheds during the cherry harvest. Today, time has taken a hard toll on the migrant housing structures throughout the county, and now these four sheds are some of the last and best examples of them still standing. “My memory of these buildings and landscape reminds me that they are remarkably unchanged in the last 60 years that I have been acquainted with them. … Yes, there have been great changes in the life and activities of this farm. The cherry orchard is long gone … The dairy cattle operation and general farming activities have ceased and of course the migrant workers whose presence was such a fascinating part of every summer to me while I was growing up have been gone from these sheds and indeed from the entire county for decades now. But the bones of my memories, the buildings and trees, are still here … Today, only Barbara still lives on the farm and she has faithfully seen to the maintenance and upkeep of her farm. Those familiar with Anderson’s education and work often associate his photography with the stunning, stark contrast of his nature prints, that intense reality of black and white. Anderson admits these days to loving color as well. In his early days, however, the technology for color was not that advanced. “I could not control the color then. While I could be way more creative in black and white.” He is truly a master of both. Though I have lived and written about this county for many years and often work with artists Charles Peterson and Emmett Johns on my own books and publications, three years ago I had the opportunity to work with Dan Anderson for the first time on a book project. 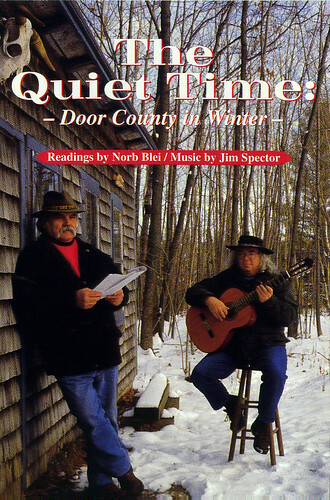 In 2006, Cross+Roads Press published, *THE NATURE OF DOOR, Door County Writers and Artists on Preservation of Place, Edited by Norbert Blei and Karen Yancey, for the Door County Land Trust. A truly beautiful book I am most proud of, featuring many of our fine local writers on particular places worth preserving in this county. Required reading–and owning. The text is handsomely illustrated/enhanced with sketches and drawings from the incredible sketch books of Charles Peterson. The book is available locally in various and through the Door County Land Trust website. For the front and back covers of this book, I called upon photographer Dan Anderson in his beautiful Ellison Bay studio, requesting two extraordinary black and white photographs of his, which I felt perfectly set the tone of the book, `showed’ what needed to be said starkly, simply, beautifully: Here it is. This must be honored and preserved for us all. I am beyond fortunate to be living and working in this environment, surrounded by all this natural wonder…in the midst of such generous artists and good people. Anderson’s latest work is a confirmation of what makes this place. What matters here. Daniel Anderson will give a talk about his show at the Miller Art Museum in Sturgeon Bay, Wisconsin on February 11 at 10:30 A.M. The sponsors of this exhibit are Keith and Claudia Kasen, Norma and John Green, and Gretchen and John Maring. These are all fine people. Sponsors of the arts in Door County never get the attention or credit they deserve. I thank you. We thank these folks in particular for sponsoring this stunning show of Dan Anderson’s photographs. Having had the opportunity of learning from Dan for the last decade or so, his recent work should be no surprise. There is a constant quality, attention to detail and mastery of craft that is unsurpassed. To have made the transition from the dark of the room to the light of the monitor and produce the same quality of image is no small feat. I walk past these icons of rural, Door landscape frequently, trying to capture and remember the small details of all that is so engaging. Anderson preserves the “IT” of our countryside with a perfect eye; exquisite. 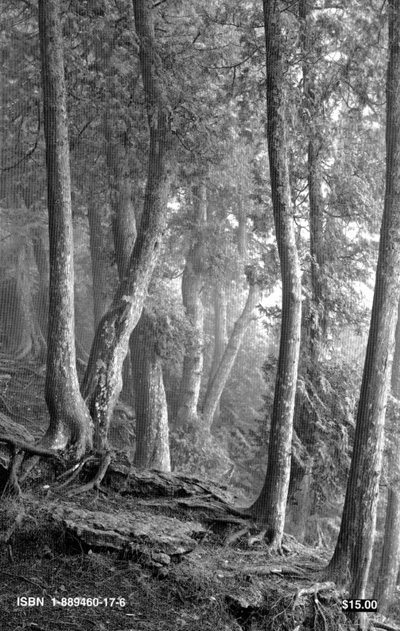 Anyone who doesn’t think photography is art hasn’t seen Ansel Adams or Daniel Anderson. Thanks for sharing. What riches you bring us Norbert, though it was Dan who created the wonder. Most of us would not have seen it but for you. The black and white photo is a mystical use of light that brings ordinary trees into an almost magical realm, while the migrant houses set in snow conveys a simplicity, and qiuiet, that slows one’s very breath. Something so humble, made so evocative. What made a special little tug in me is that the houses are almost exact replicas of the shed we have on our lawn which we call the pump house, because that is where the old hand pump used to be, where in the first years of my marrriage I hauled water to wash diapers. We even have a similar tree. The only difference is that our shed has the little window at the other end, and we have now painted it grey. Dan is indeed an artist, even a master artiest.